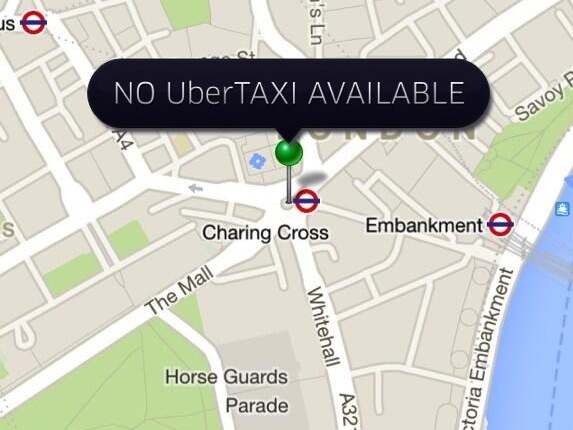 A scene from today's #uberwar protest in London. Internet Subjects is a new series of flash panel conversations. Each takes a topic chosen just a week in advance in order to discuss emerging internet subjects and subjectivities in an engaging public forum. This first event will focus on the social and political ramifications of the so-called "sharing" economy. There is a protest by taxi drivers happening today in cities around Europe against Uber—an #Uberwar in the wake of last week's $18.2 billion valuation. Airbnb, recently involved in a drawn-out dispute with New York's Attorney General, was the subject of an unauthorized 'AirBnB Pavillion' at the 14th Venice Architecture Biennale last weekend. In a relatively short period of time, such services generate new infrastructures outside of traditional social processes, thereby expanding markets, and the market logic itself, into previously untapped spaces. But they also challenge existing notions of labor organization, risk and domestic/private space. Is "sharing" the most accurate term for this economic process? Join panelists Denise Cheng (MIT Center for Civic Media), Rob Horning (The New Inquiry), writer Kate Losse, and Melissa S. Fisher (Social & Cultural Analysis, NYU) as they discuss the "sharing" economy, its implications and its horizons. Internet Subjects is presented by Rhizome, and organized by Rhizome editor/curator Michael Connor, Kate Crawford (Principal Researcher at Microsoft Research and Senior Fellow at NYU's Information Law Institute), and Nathan Jurgenson (contributing editor to The New Inquiry, chair of Theorizing the Web, researcher at Snapchat).